Ryan Lochte's confusion knows no bounds. 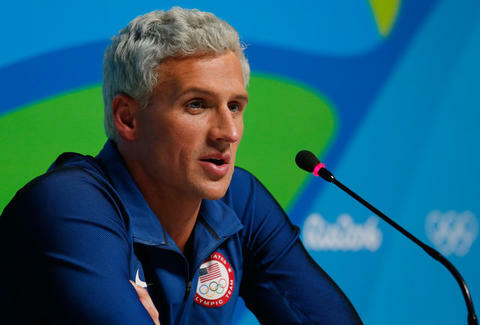 The Olympic swimmer and reality TV celebrity who confused vandalizing a bathroom for being held up is once again showing everyone just what Ryan Lochte would do. In this installment, he's a little confused about how old his dog Carter is. What we know: Carter's birthday is on October 23. Lochte has wished the pooch a happy birthday on that date three years in a row. The confusion comes in exactly how old Carter is because Lochte has wished his dog a happy 8th birthday each of the last three years, something pointed out by Twitter user @wholegrainne. After the odd aging habits of his dog were pointed out, Lochte deleted this year's tweet and wished Carter a happy ninth birthday. That doesn't explain how Carter was eight two years in a row, but we're getting closer to resolution on Carter-gate (if that's even the dog's name, because who knows). Either way, happy birthday to Carter the age-defying and/or eternal and/or time traveling and/or make believe dog. Based on the image on Twitter, you probably put up with a lot.